St. Mary Medical Center in Long Beach. File photo. A simmering power struggle between physicians and administrators at St. Mary Medical Center erupted this week when physician leaders sent a letter to the entire medical staff saying they have been cut out of key decisions involving patient care. The letter, obtained by the Long Beach Post, also accuses the administration of retaliation by threatening to eliminate contracts the hospital has with certain physician groups, effectively firing doctors—some of whom have been with the hospital for more than two decades. “There’s just a pall over the place,” said Dr. Mauricio Heilbron, who has worked as a trauma surgeon at the Downtown Long Beach facility for over 20 years. Carolyn Caldwell, who was appointed CEO of St. Mary in June 2017, issued a brief written statement Thursday saying the hospital prioritizes high-quality patient care in a safe environment. “The hospital is committed to working with its medical staff, and is in compliance with all of the regulatory requirements that assure that the medical staff is a valued partner in the review of all medical services contracted by the hospital,” Caldwell said in the statement. Caldwell did not respond to questions about other allegations in the letter, including the potential replacement of physicians. Physicians say the hospital has issued a “request for proposals” to potentially replace the current anesthesiology group, and has already put in place a new group of radiologists to work alongside the current staff. The letter to the medical staff is signed by 16 members of the Medical Executive Committee, which includes physicians elected by their peers from core specialties at the hospital. The doctors who serve on the committee said their physician groups are now being targeted for replacement. 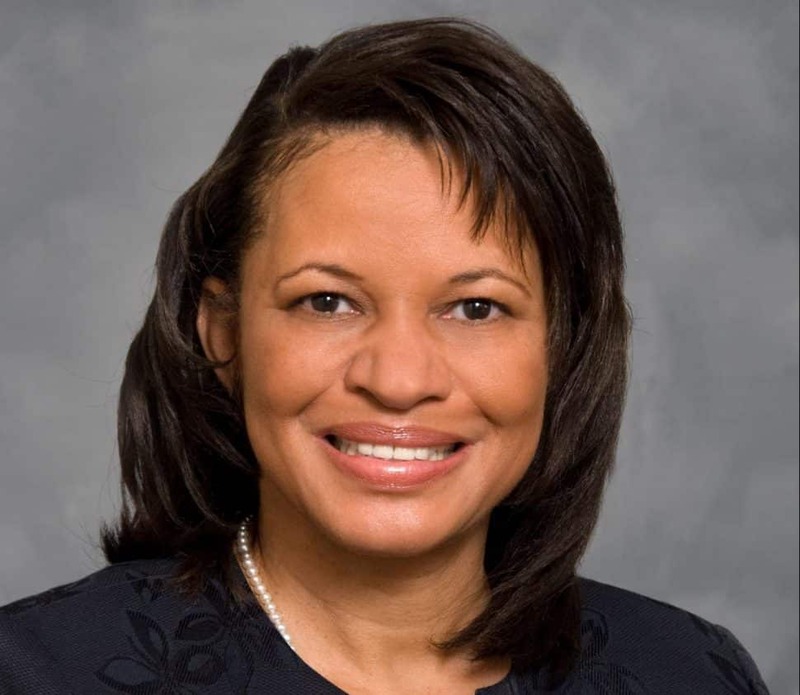 Heilbron and McFarland said in separate interviews that Caldwell, over the last 18 months, has fired the chief operating officer, the chief medical officer, the chief nursing officer and the head of risk management. Caldwell—the ninth CEO to serve at St. Mary since 1999—did not respond when asked about the terminations of the administrative staff. She most recently served as chief executive officer of Desert Regional Medical Center, a for-profit facility run by Tenet Healthcare. Carolyn Caldwell. Photo courtesy of St. Mary Medical Center. The CEO has authority over administrative positions, but not necessarily over doctors. Typically in nonprofit hospital settings such as St. Mary, physicians and administrators work together for the mutual benefit of patients—but they also need each other financially. Hospitals need doctors to admit patients into their facilities and to provide core services; doctors need to practice in a place with equipment and staff. Certain groups of physicians that are critical to a hospital—such as radiology, anesthesiology, pathology and emergency—receive contracts to ensure they are available and on call 24 hours a day. In addition to radiation and anesthesiology, St. Mary has also now targeted the physician groups who provide emergency and pathology services, the physicians say. St. Mary is owned by Dignity Health, which as of Feb. 1, merged with Catholic Health Initiative to become CommonSpirit Health. The $29 billion health system now operates 142 hospitals in 21 states across the country. McFarland said he believes the recent acrimony may be related to the merger. “It’s created a chill,” he said. Medical services that St. Mary provides—particularly its emergency room and trauma care—have become more critical to the local area after the closure of Community Hospital in East Long Beach, doctors said. “We’re stuffed to the gills with patients,” McFarland said. Doctors at St. Mary say it is their duty to safeguard the critical role the hospital plays in Long Beach. Read the physicians’ full letter here.